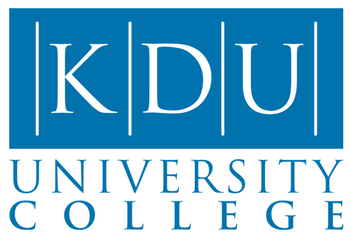 Following a partnership with the International Institute of Enterprise Risk Practitioners (IERP®) based in London, KDU University College’s Master of Business Administration (MBA) students will become the first in the world to earn the groundbreaking MBA accreditation specialising in Enterprise Risk Management (ERM). This unique postgraduate program combines academic and professional knowledge with the aim of producing a global pool of qualified ERM aware management professionals and risk management practitioners. It also provides an international and holistic perspective for management professionals to effectively engage and contribute in a global environment and will equip them with the practical tools to be able to successfully implement ERM and link them to Governance, Risk and Compliance (GRC) initiatives in their organisations. Realising this critical need for sound ERM knowledge and good ERM practices across all organisational layers and business segments, the IERP® was founded by dedicated and experienced Board Risk Directors and industry practitioners to holistically address these deficits and to make these ERM skills available, implemented and practiced globally. Bachelor Degree Completed with a minimum CGPA of 2.50 or its equivalent qualifications. Candidates without a minimum CGPA of 2.50 can be accepted with a minimum of 5 years working experience in the relevant field.